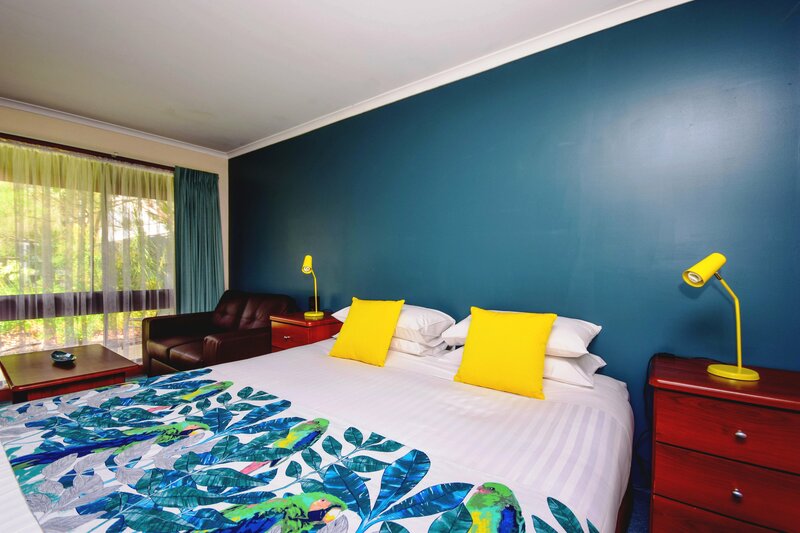 The King Spa rooms feature a king bed and a brand new fully renovated bathroom with corner spa. 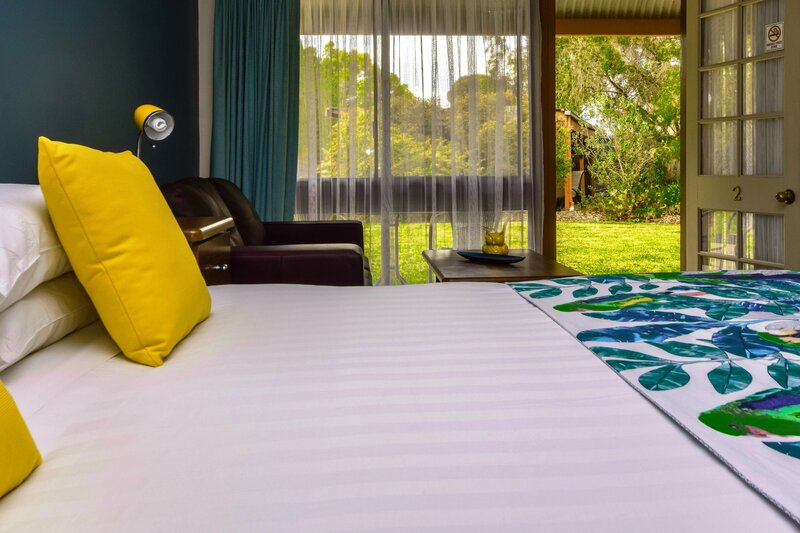 Cosy doonas and crisp white linen provide a fresh clean look and the mattress topper adds that extra layer of comfort. 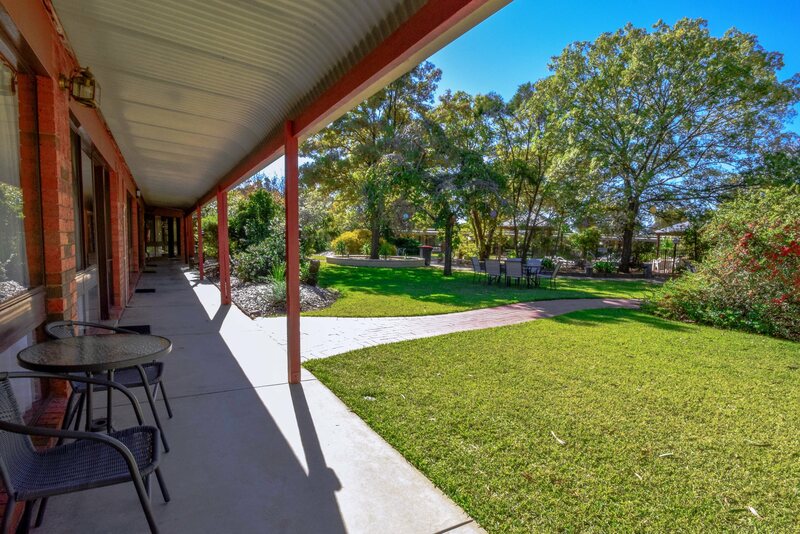 All of our rooms open onto the large garden and pool oasis. 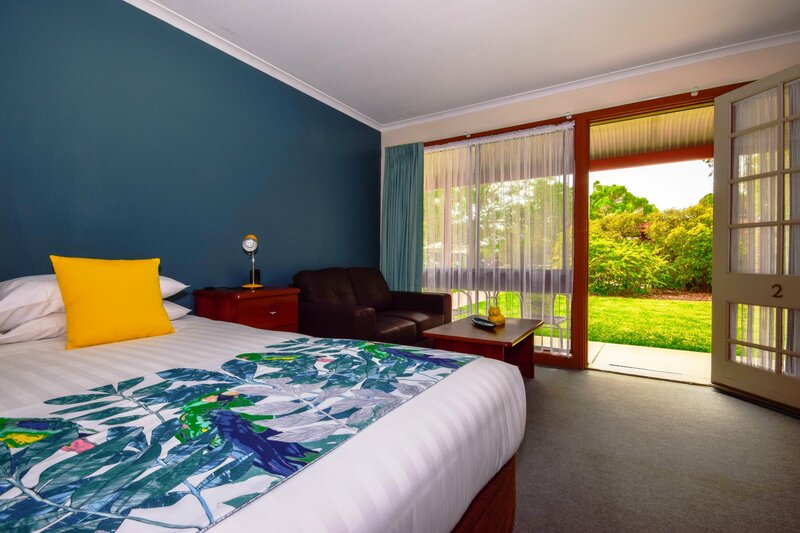 These spacious rooms also have a leather couch, dining setting and coffee table, reverse cycle air conditioning/heating, large LCD TV, microwave, Ipod/Iphone clock radio and breakfast making facilities. There is also a two person outdoor setting for each Spa Room. 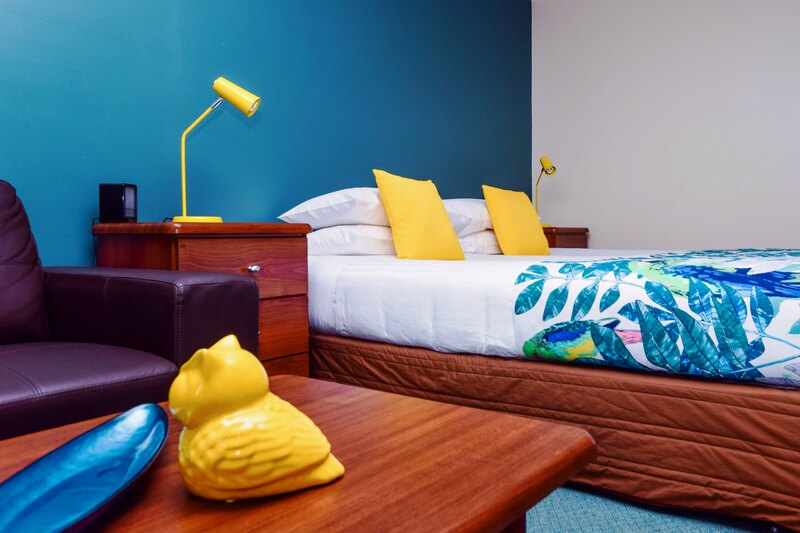 All linen and towels are provided along with a bar fridge, hairdryer, iron, ironing board, kettle, toaster, bedside lamps, crockery and cutlery and dish washing items. 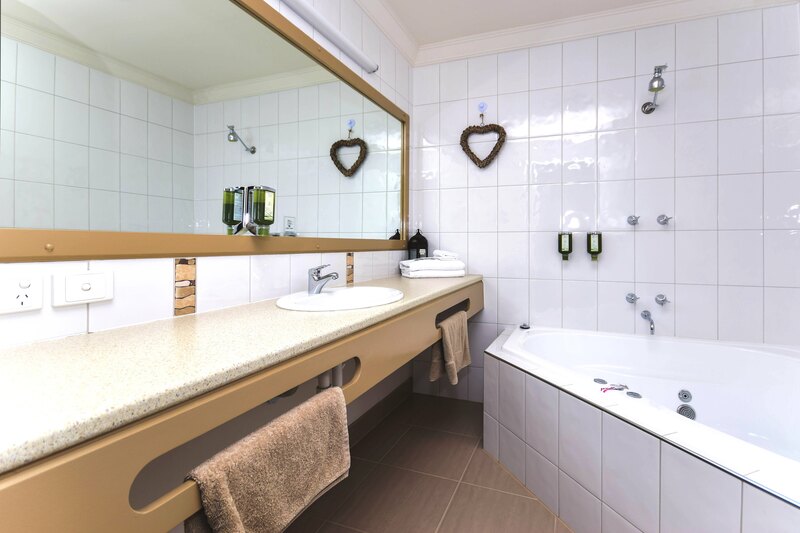 Complimentary tea, coffee, sugar and fresh milk and bathroom amenities are also provided. For that romantic touch a candle lantern is also provided.